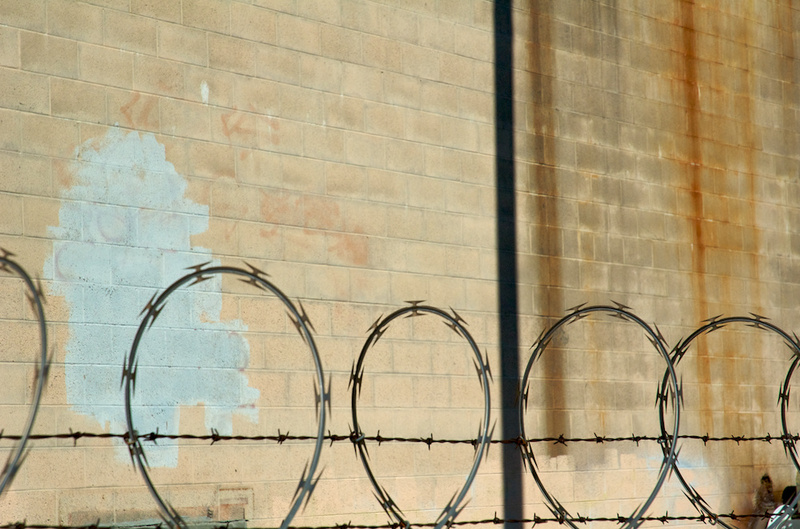 Razor wire guarding a blank wall alongside the tracks in Santa Clara. I’m not entirely sure what the threat model was supposed to be. Shot with the Nikon D70s and the 18-70mm f/3.5-4.5 zoom at 70mm, ISO 400, f/9, shutter 1/1600 sec. Contrast and levels adjustments in Aperture.